We are pleased to offer a FREE 7 day delivery service to all our UK & Ireland customers. No matter how large or small your order is, you will receive free shipping. 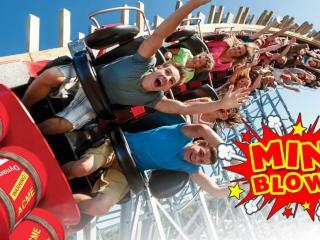 Receive actual theme park tickets, NOT vouchers and gain access straight into the parks - no fuss! Guarantee our current prices and spread the cost of your Orlando tickets, with a deposit of just £25pp. Balance due 6 weeks prior to your departure. Free Disney Dining and Drinks is COMING BACK! From the 25th of April, guests booking a 2020 Walt Disney World Resort in Florida holiday will once again be able to benefit from Disney’s popular Free Dining and Drinks Offer! All the exciting details for Star Wars Land! It's the first day back at work so we thought what better day to take a look at the exciting year Orlando has in store for us! From the 19th January to the 17th March, guests at Disneyland® Paris will be able to experience the fairy tale of the Festival of Pirates and Princesses. 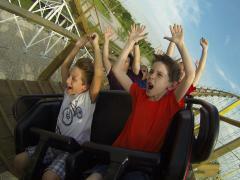 New Wooden Roller Coaster Opening in Florida THIS WEEK! The Mine Blower roller coaster opens at Fun Spot Kissimmee this Friday – and it’s landing with a bang! Brand New Wooden Rollercoaster Coming to Florida! 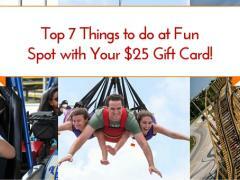 Enjoy an afternoon on us! My Memory Maker to be Included FREE with 2019/2020 Disney Orlando Bookings! My Memory Maker photo package for all adult tickets booked for travel in 2019/2020! Travel with confidence. We are a member of ABTA which means that you have the benefit of ABTA’s assistance and Code of Conduct. We provide full financial protection for the money you pay for any hotel and ticket package which means that if we go out of business, you’ll be able to continue your holiday as planned or get your money back. If you buy other travel arrangements from us such as ‘ticket only’, this protection doesn’t apply.